The Curative Education Institute Sonnenhalde in Görwihl is an institution for people in need of special care. 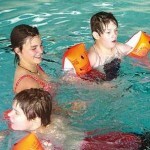 A state approved special school is affiliated to the residential home. 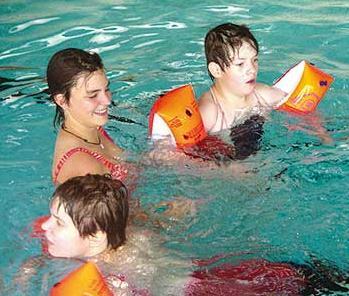 It accommodates about 50 mentally or psychologically handicapped children and young people. The residents are living in small groups which are cared by qualified staff. Activities for future volunteers: to support and leisure time program for residents. In the beginning volunteers will only assist staff members, later they should take on responsibility – as admitted by legal liabilities. Major tasks are: Assistance and support for residents in all day chores and leisure time; occupational therapy like doing handicraft, singing, playing music;·attendance at excursions and study trips. Volunteers can introduce own ideas and abilities (computer literacy, graphic design, mechanical skills, music playing etc). They can participate in internal vocational training seminars. Every month a day of studies will be organised for the volunteers: they can seek advise for their choice of occupations in future, meet counselors from universities and colleges, go on excursions, or take part in cultural events. Criteria for candidates: Volunteers are not expected to have a special previous knowledge but they should have an interest in working with handicapped people. They should be open-minded to work with children and young people in need of special care. S/he should be sociable and outgoing, to have enthusiasm, and to be tolerant to foreign cultures, able to interact well with different groups of people. Experiences in youth work or help for disabled people would be helpful, but is not a prerequisite. To get easily in touch with the staff members as well as the children and their parents, a basic knowledge of german language would be helpful. The sending organisation should assure a good preparation for an assignment of the volunteer in a foreign country. A preparatory visit would be helpful. Volunteers who are not selected can ask for detailed information about the reasons. Rules/conditions that have to be respected by volunteers: Handicaps are not seen as a deficit. They very often appear as specific tendencies that have grown dominant, which can be reduced or adjusted by specific pedagogical measures. Each child is seen as an individual. Educators, teachers, therapists and physicians try to find for each child a special support, education and medical treatment. More details about project are avaible at: http://ec.europa.eu/youth/evs/aod/hei_en.cfm with Reference No. : 2010-DE-241. If you are interested in one of the projects mentioned above please send us to evs@studentplus.ro your CV + motivation letter and return us the completedquestionnaire you’ll find in the attachment.